The roots of Sennelier watercolours are to be found in the Impressionist school. At that time, painters drew their inspiration from nature and set out to reproduce natural light. Watercolour technique offered spontaneity, lightness of touch, fluidity and transparency allowing a quick translation of a particular light, vibration or shape. Paul Cézanne, for instance, produced forty or so watercolours of the Mont Sainte Victoire in Provence. Earlier on in England and on the Normandy coast in France, William Turner had turned painting in watercolours as an art form in its own right and had even managed to produce genuine masterpieces. Since then watercolours have become an established part of the history of painting. Artists love them because of their radiance and their spontaneity. It is such a pleasure when the painter plays with the light of the paper and the brightness of fleeting, intense pigments as they glisten, come together and swirl around under his brush producing a whole host of different effects. Tailored to the Needs of Today's Artists. Sennelier spent a long time working with many different artists to produce L'Aquarelle Sennelier. They consulted watercolourists from all over the world. A panel of professional painters carried out blind tests on a number of formulations. They clearly revealed what they were looking for: a watercolour which is luminous, brilliant and intense. L'Aquarelle Sennelier fulfils their every wish. Honey has many virtues: a symbol of light and sun, an emblem of poetry and science and has been used since Ancient times as a remedy for dry skin and to help heal wounds. 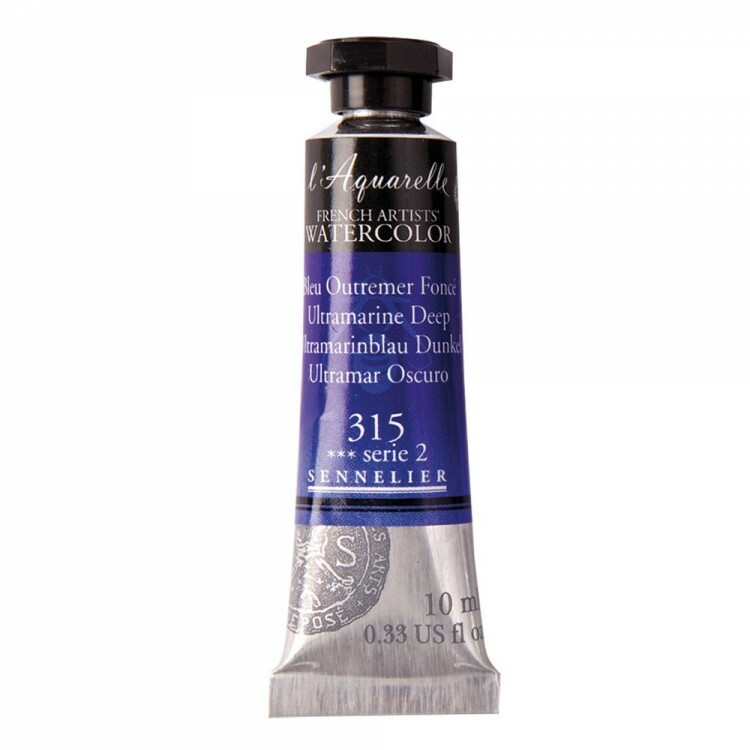 It is used in Sennelier L'Aquarelle not only as a preservative but as an additive giving incomparable brilliance and smoothness to the paint. Always striving for excellence, Sennelier has reworked its watercolour formula with increasing the amount of honey in the paint to reinforce the longevity of the colours, their radiance and luminosity. Watercolours Made in France Using Traditional Methods. Sennelier watercolours are ground in the traditional way using grindstones rotating slowly so as not to heat up the paste. 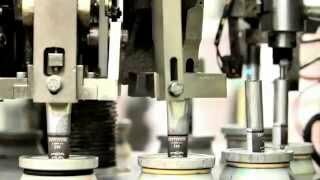 This operation is carried out in several stages until the paste are as fine as possible thus getting rid of any particles which might impair the perfection of the wash. This exceptional and very high-quality watercolour will help you make your works even more powerful due to the liveliness and purity of the hues. The colours mix together perfectly, offering superbly subtle shades. 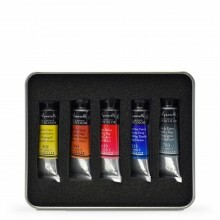 These smooth, intense colours will be a genuine pleasure to paint with. 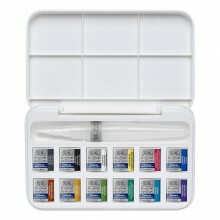 The addition of honey will allow the tubes and pans of Sennelier watercolours to stand up to the passing of time and each time you will paint with them you will be able to accurately translate the diversity of light shape and hues.